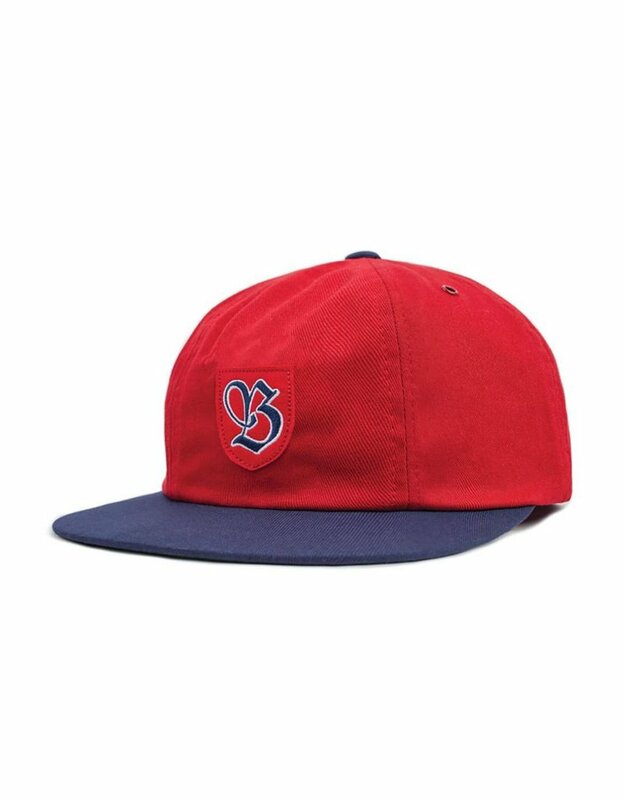 The Brixton Snider Cap in red/navy. This is a 6-panel cotton cut & sew hat with an embroidered Brixton patch logo. It has an adjustable strap and soft brim.